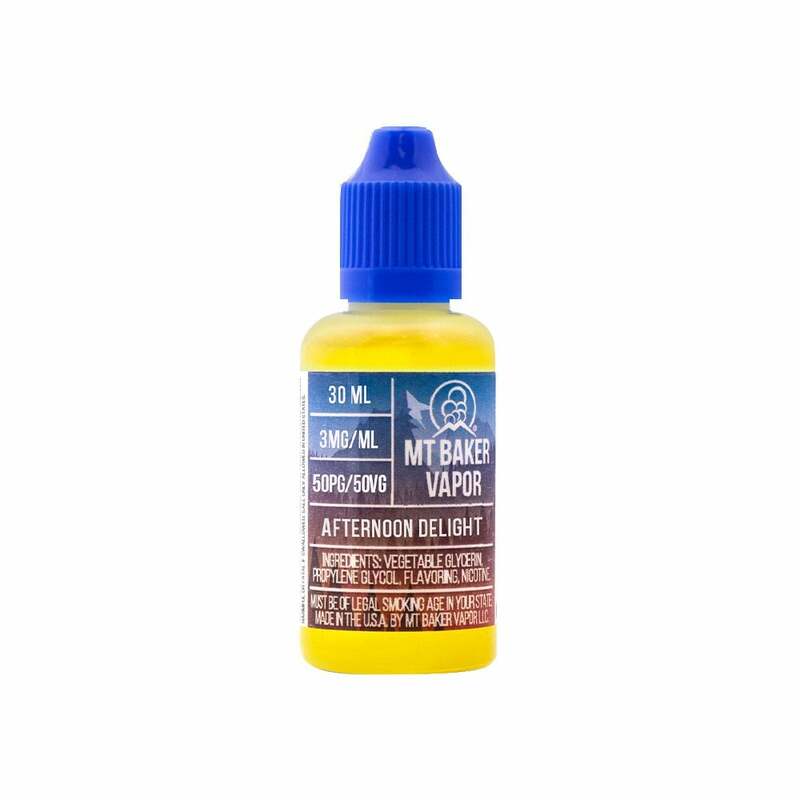 Afternoon Delight vape juice by Mt Baker Vapor is a refreshingly fruity blend of banana, coconut, and pineapple that’s perfect for relaxing in the sun. With flavors reminiscent of a fruit smoothie or piña colada, Mt Baker Vapor Afternoon Delight is a must-try blend for exotic fruit vape fans. Nice to mix it up with a high quality juice. I like strawbana and blueberry a little more though. I wasn’t sure I would like a tropical fruits vape juice, but this is fun and and a nice break from my usual flavors. Banana flavor is dominant. The coconut and pineapple are there in the background. Like a tropical drink. Love this flavor.